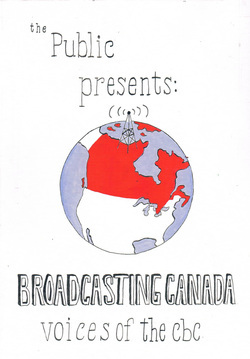 Broadcasting Canada encourages submissions to be posted on our website. We're looking for content that celebrates our national broadcaster. Tell us about a beloved CBC program of yours, a memory of a CBC voice that you remember from days gone by, or the importance of securing public funding for our national broadcaster. Be creative! Poetry, drawings, etc are welcome. Submissions can be sent by email to Sharon Riley - sharon@thepublicradio.org. Please include your name and the town you live in (or near) in the email. We will publish your location on a map of CBC's fans with stories to tell.